Seriously, once we hit puberty, most of us women got so obsessed with searching for the best way to get clear skin. And not just for acne and breakouts, but to keep your skin looking its best. And while you’re eating healthy, getting enough sleep and doing a bit of exercise, those breakouts can still happen. So to help your skin stay nourished and hydrated, I’ve gathered some of the best tips for your skin’s health. They’re effortlessly easy routines that’ll give you the best skin you can ever have. So check them out and let me know what you think! Before you get on your bed, make sure to remove all the dirt and grime from your face and body first. Leaving makeup on your face can result in instant skin trouble. Washing your face at night with a dime size amount of cleanser can keep you free from breakouts, acne, and oily skin. Taking a shower at night can also help you with this too! While you’re sleeping, your skin repairs itself overnight. And applying moisturizer to your skin before bed can help with this process. Choose a moisturizer that’s meant for your skin type (ex: oily, dry, or medium skin type). I highly suggest picking a water-based or noncomedogenic product to prevent pimples from developing. These products are less likely to clog pores meaning less acne. Face masks work wonders on skin. They’re perfect for busy days when you don’t have much time for your skincare routine. After cleaning your face at night, just apply the mask to your face and go to sleep. In the morning when you wake up, you’ll have glowing skin. This trick is meant to remove the dead layers of skin cells, dirt that’s blocking your pores, and help your skin’s natural glow. Use a product that has a gentle exfoliating effect. Try some products with alpha hydroxy and lactic acids that exfoliate gently and make you look radiant. Just be mindful to not exfoliate too often, as it can damage your skin. If you think that SPF is just for outdoor use, think again. The shine from light bulbs and screens can actually damage your skin. So apply a nongreasy lightweight sunscreen daily with an SPF of 30. It’ll guard your skin against both the sun’s UV and UB rays. With overtime use, your makeup brushes can collect dirt and dust. And when you use it on your face, you can also infect your skin and cause breakouts. For an easy solution, wash your makeup brushes and sponges regularly to make sure they’re clean and sanitized. Giving them a quick bath may also lengthen their lives. Water is essential for your body and skin to function well. It flushes out toxins in your body and hydrates your skin. And if you want something more refreshing than a glass of water, try some detox water. It’ll make you feel amazing and can even help you lose weight. Check out my post about 6 water detox hacks that’ll make you feel amazing here! If you want an easy and cheap way to get rid of dirt, dust, and oil from the pores of your skin, consider trying this DIY face steamer. All you have to do is get a bowl of hot water, add some essentials oils, and put your face over it. Let the steam moisturize your skin for two minutes and gently pat your face with a clean towel after. Don’t forget to apply moisturizer right after to lock the nutrients into your open pores. Your pimples and acne might be from the buildup of oil, sweat, and dirt that go directly into your pillowcase. So make sure you change your pillowcases every two days. Also, use a dryer sheet that’s fragrance-free and hypoallergenic. It’ll make a difference. Your hands tend to touch things with germs and bacteria and when you touch your face, this can cause blemishes and breakouts. Keep your hands from your face to avoid spreading bacteria. Apply some sanitizer or alcohol first to disinfect your hands before touching your face. 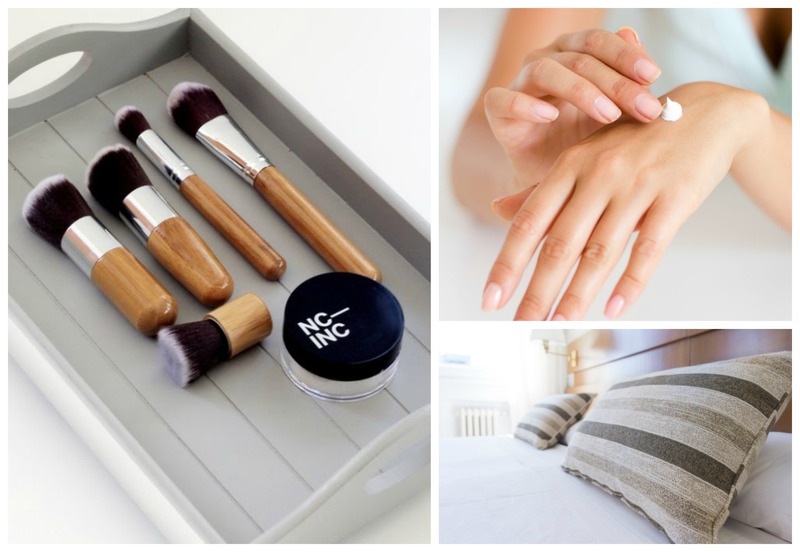 While there are plenty of skin care routines out there, having these ten skin beauty tricks will save you so much time and stress. They’re easy to do, give great results, and make your life a bit easier. So try them out and let me know what you think! Now if you have any questions about these clear skin care tips, comment down below, I’d love to help you out!